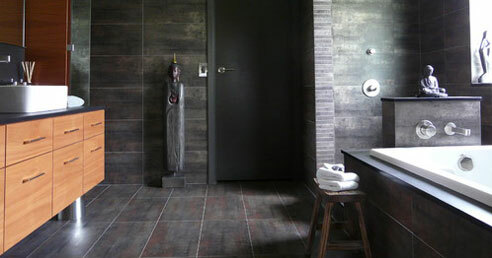 Our company has been known as a lifestyle enhancer and this is because we have a reputation of performing the best bathroom renovations Pennant Hills has to offer. The feelings of value and quality that our 100% guaranteed renovations evoke will be with you many years to come. Our licensed workmanship is built to last and we take great pleasure in helping you achieve your Pennant Hills bathroom renovation dreams. If there’s one thing that we do well it is our ability to transform your home & increase its value. 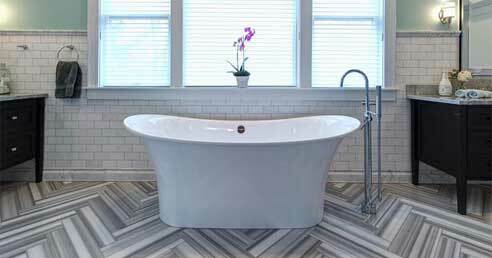 Call now to get started so we can create & build you the bathroom of your dreams! We’ve had many customers mistakenly think that our basic renovation packages were our top of the range stylish package. This really shows you the level of quality we consistently achieve as standard. Our most popular renovation packages give you the best of both worlds. We perform an amazingly high quality renovation with premium features but we manage to keep price very affordable indeed. When want something truly special, there a no shortcuts. The premium accessories & features included in our stylish bathroom renovation packages will definitely surpass all of your expectations. Complete Bathroom Renovations understands that our customers want an extremely high quality product which is why we’ve systematised the way we perform our fantastic work. Our attention to the details of the elements that you don’t see makes the biggest difference. We’ve performed renovations on all types of homes & business including difficult access apartments. We know that customers want bathrooms that don’t just look stunning, they also want highly functional designs & layouts too. All facets of construction are performed by our in-house plumbers, carpenters & builders. waterproofing & proper drainage. Our vast industry specific knowledge & years of building expertise ensures you get a renovated bathroom that looks fabulous & is also built to last whilst enjoying a leak & mould free environment. All of materials we use are of the absolute highest calibre of quality; from the grout & cement to the toughened A-Grade shower screen safety glass. Your Pennant Hills home or business is truly taken care of. 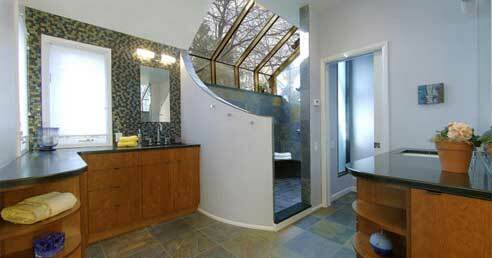 Take your tired old bathroom & turn it into the bathroom of your dreams - 0405 111 111! You can rest assured knowing that all of our tradesmen are highly experienced and fully licensed which is why all of our warranties are in strict compliance with national standards. We have access to extremely high quality accessories & inclusions and we source them at wholesale prices. This is the primary reason why our services are so affordable and why you should utilise our expert team to perform your bathroom renovations in Pennant Hills. Give our team of professionals a call today and let us build something special for you. I was surprised at how affordable Tony’s quote was & I was a bit sceptical I must admit. As the work progressed it soon became clear that his renovators had an incredible work ethic and really loved the work they were doing. All in all I was very happy. 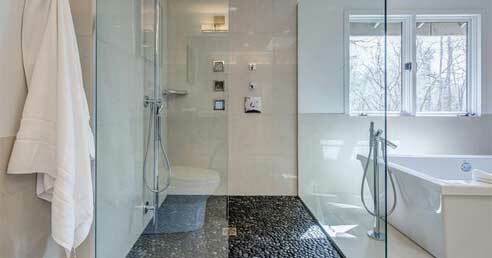 I opted for Complete Bathroom Renovations’ stylish package with all of the added extras. My bathroom is now an absolute pleasure to use and I couldn’t fault the workmanship at all. All of the guys did a great job & I would use them again. I’m very happy with the outcome of my renovation. Tony’s team done a fabulous job and all the guys were always on time and they always cleaned up properly. I’ve already recommended them to a co-worker as the finished results are stunning.